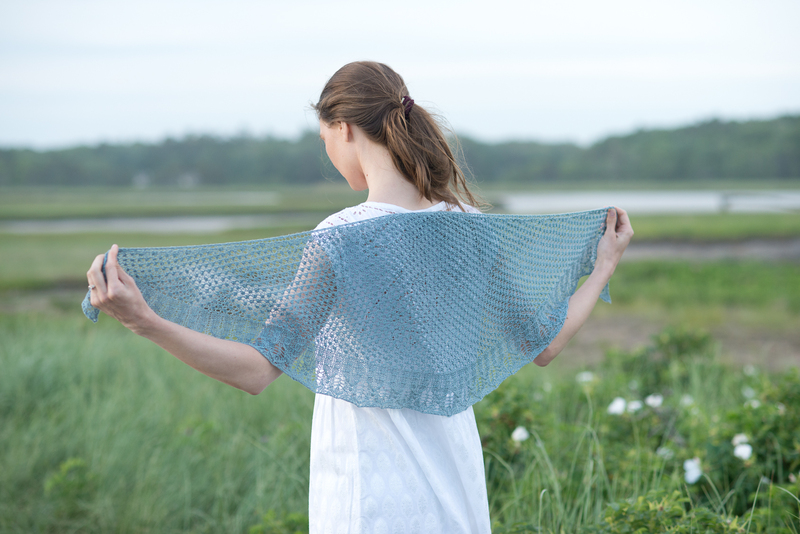 The sample features Quince & Co’s Puffin yarn in a range of seaglass blues. 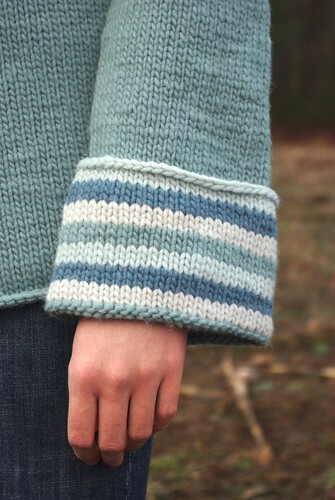 This fluffy single-ply yarn makes the coat super warm and cuddly. 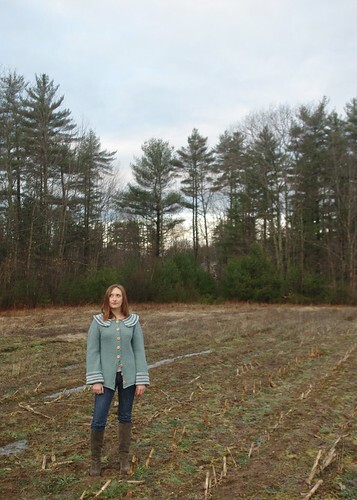 As a sweater coat, Latitude was designed to be worn with approximately 2″ positive ease. 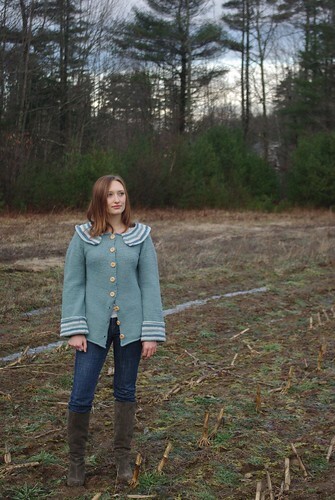 The modeled shots show the coat with about 4″ of ease. 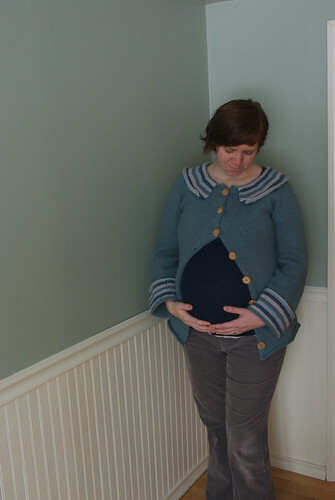 For comparison here’s a shot or two of me wearing it over a 38.5 week baby bump and 1-2″ of negative ease. 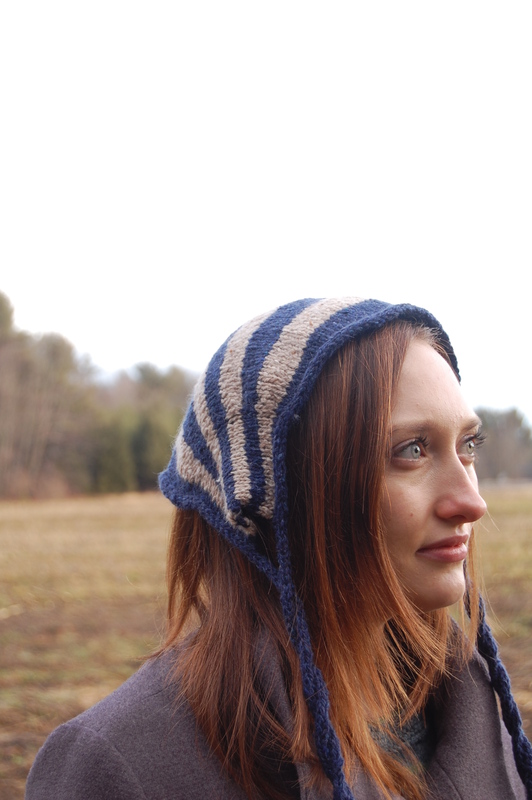 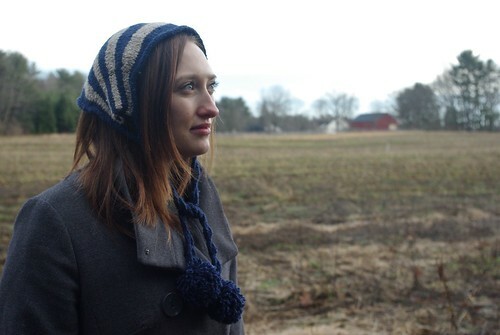 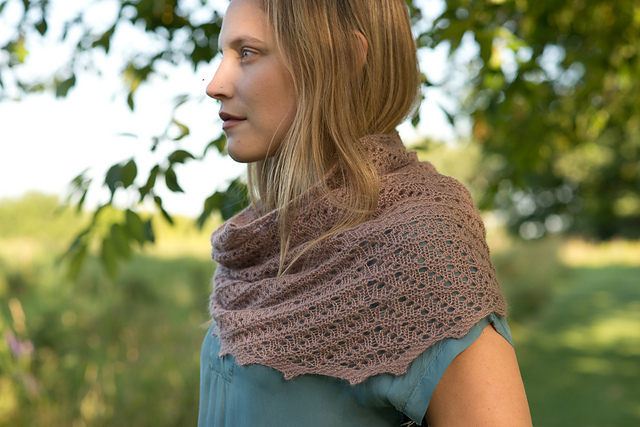 Latitude is available for download as a solo pattern for $6.00 USD or can be purchased from my Ravelry store with my other two designs from the collection, Longitude and Lamina for a discounted $12 with the coupon code LINE. 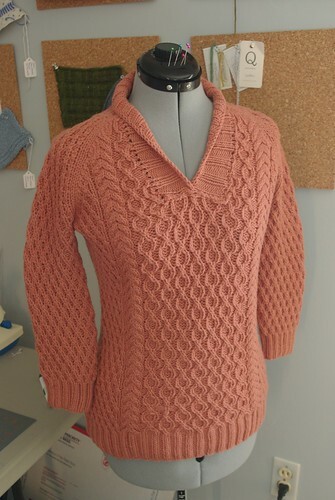 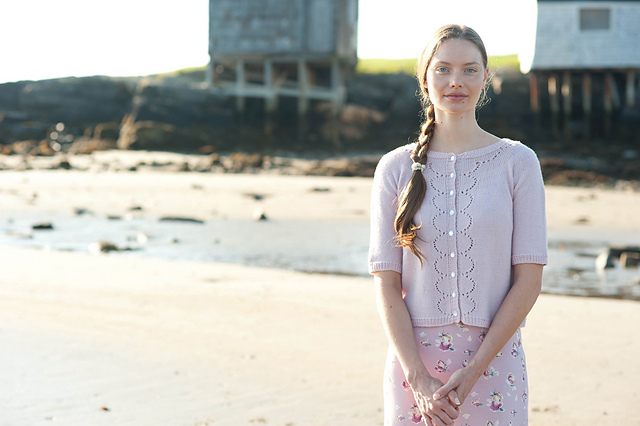 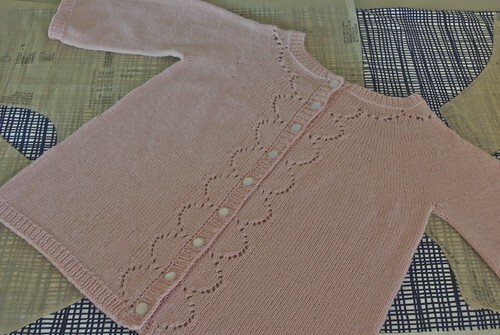 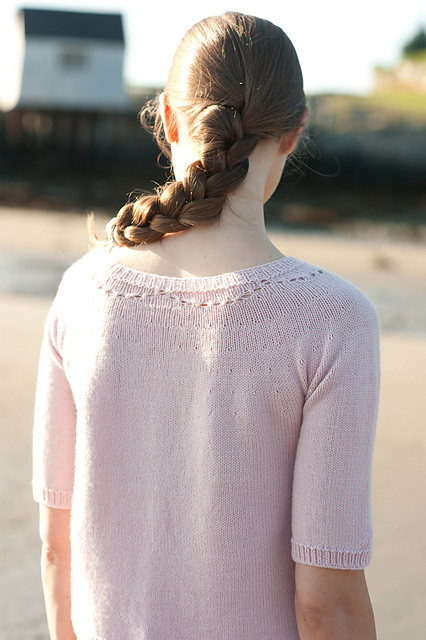 Knit in Quince’s springy sport-weight Chickadee yarn, Sakura features elbow-length sleeves, an a-line silhouette and a petal-like lace scallops along the button band and collar. 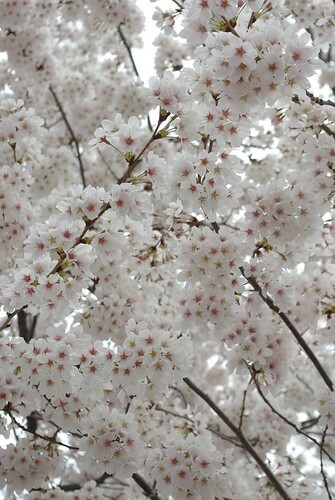 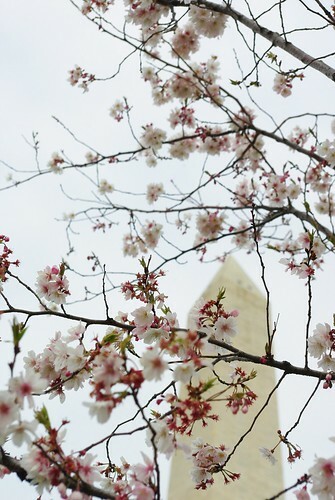 Sakura is written for sizes 31 ½ (33 ¼, 35, 37 ½, 39 ½, 40 ½, 43, 44 ½, 47, 48 ¾, 51, 53 ¼)” and uses 905 – 1810 yards of Quince & Co. Chickadee in Dogwood or another sport-weight yarn. 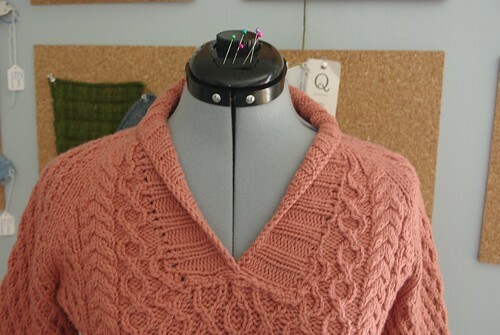 Now that I completed my squealing with excitement over being physically published, I thought I’d share some of the details and design inspiration behind the Westwood Blouse. 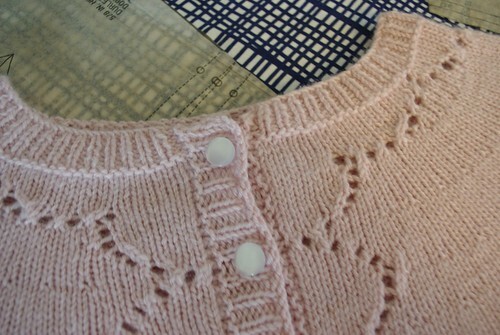 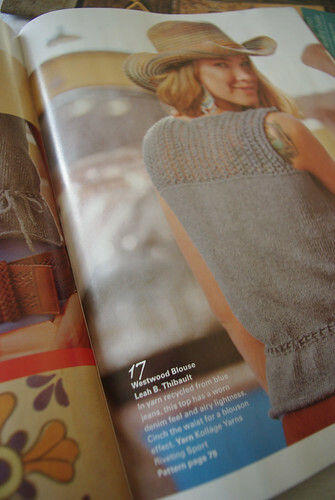 I was initially attracted the Knitscene call for submission when I came across the “southern comfort” prompt. 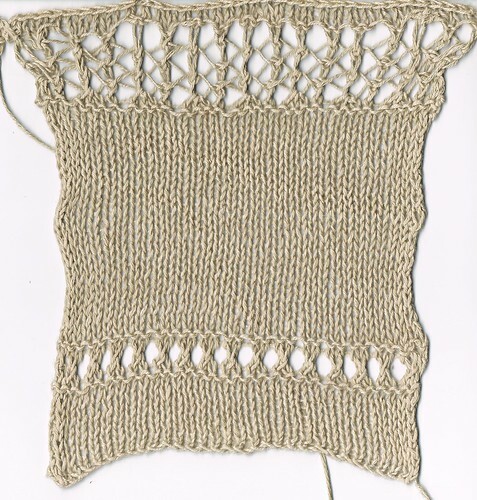 My brain started thinking of hanging moss and Gone with the Wind and I ended up looking at a bunch of photos of corset covers, which, along with a tank I had from Banana Republic, served as the starting point for the design. 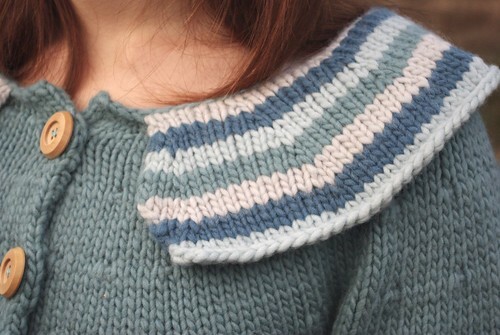 This top couldn’t be easier to knit. 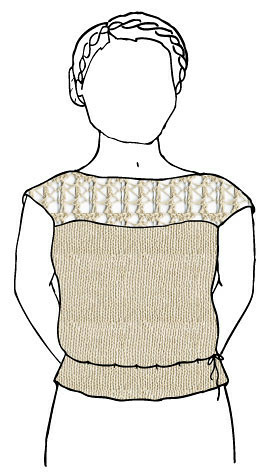 It’s knit in the round to the armholes and then split at the armhole to work the lace and then seamed at the shoulders into a boatneck. 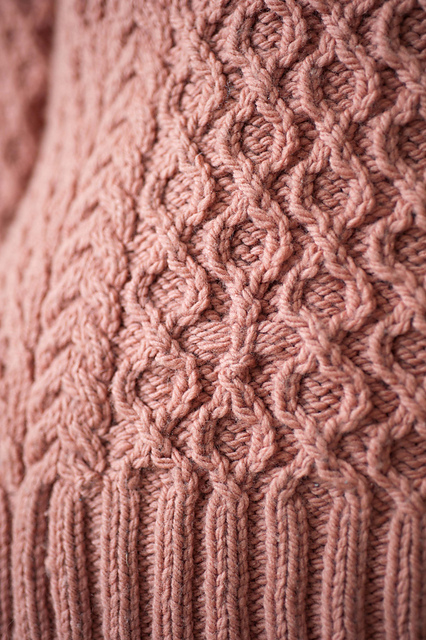 Even if you’ve never knit lace before, the stitch pattern is an easy two-row/ four-stitch repeat that gives a lot of visual bang, for a small amount of complexity buck. 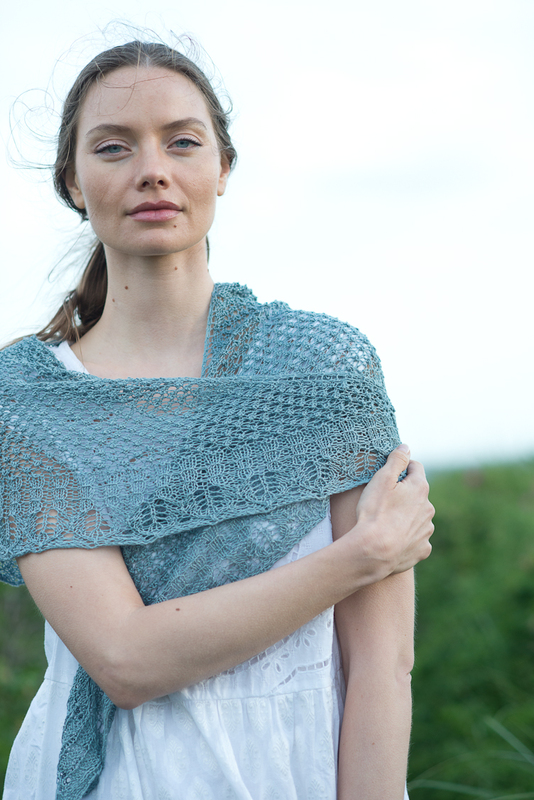 The swatches above where done in Quince & Co’s Lark, but the final design was done in Kollage Yarns Riveting Sport, a recycled denim yarn. 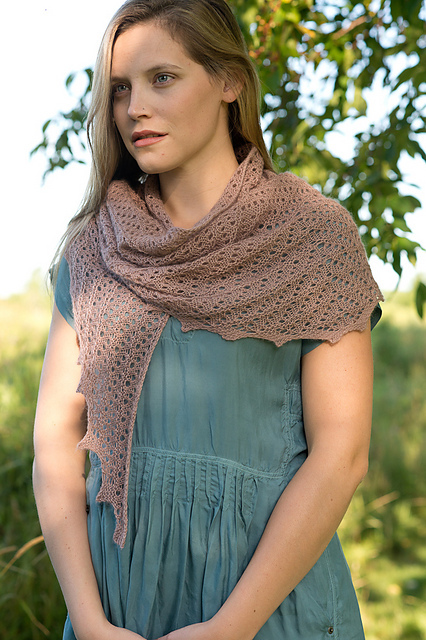 I’m always a bit wary about recycled yarn, but I found this to be lovely to work with. 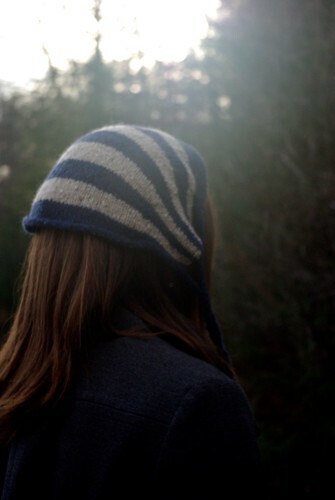 It’s not splitty and very light.